Services | Atlantic Signs & Graphics, Inc. Services | Atlantic Signs & Graphics, Inc.
Atlantic Signs & Graphics offer a large variety of signs and graphics to fit your every need! We do private, commercial, large, and small signs. We strive to provide the highest quality every step of the way, from helping you with a design to building your project with high quality material and professional craftsmanship. Our experienced team or designers and engineers have created hundreds of signs, so you can expect the best results. View our sign gallery to see examples of our past work. We can create almost any sign you can dream up. Every project is unique and we work with clients to find the perfect medium. Below is a list of the types of signs we offer, but we are always creating new types to fit your signage needs. We even offer installation services. Atlantic Signs will transport, install, and maintain your sign. 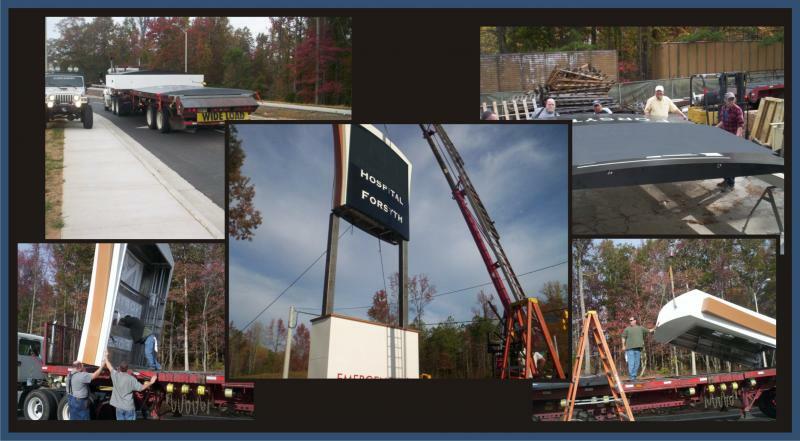 We will travel all across the state of Georgia and beyond to ensure your sign is properly delivered and installed! Here are installation related services we can provide. Please contact us today to discuss your unique signage needs. We will work with you to plan your project and provide you with a quote and timeline estimate.